Georgia is a state rich in natural beauty and scenic drives -- some of which can yield an immensely rewarding test for both car and driver alike. If you’re looking to flex your skills and your car’s capabilities, head to the stretches below and see just how much fun the Peach State can be for an experienced driver -- yes, even while obeying the traffic laws. Here are the most immensely rewarding drives in the state. 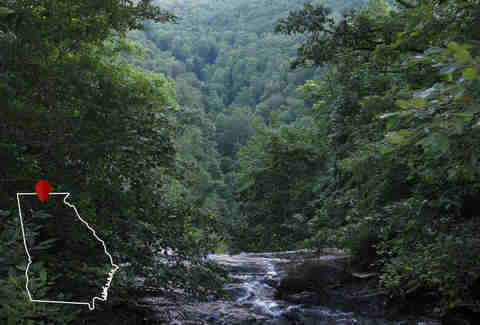 Known to locals as “Georgia’s Dragon,” the Suches Loop is found smack dab in the middle of the Chattahoochee National Forest and Blue Ridge Mountains. The loop is essentially a little over 50 miles of twists and elevations. TSL is well known in the state for drawing auto enthusiasts due to its numerous blind turns and steep elevations. Driving up the mountain on GA-19, there are two lanes. Once drivers connect with Route 180 the road gets narrower. Although the path can be challenging even for veteran drivers, it is a must-drive for those who want to push the handling limits on their vehicle. You shouldn’t feel bad about taking it down an RPM or 500 here; Suches Loop is a great route for viewing three of Georgia’s mountain passes -- Neel's Gap, Hester Gap, and Stonepile Gap. The drive is exceptionally beautiful in the fall. For drivers that want to test out their vehicles’ handling, SR-180 is the ideal road. Even at just 26 miles long, Wolf Pen, located in Northeast Georgia within Union and Towns counties, is one of the most difficult natural routes in the state. The best way to experience this stretch of challenging asphalt is to start in the Chattahoochee-Oconee National Forest. The scenery is pristine, but drivers should keep their eyes on the road. The plethora of twists and switchbacks will keep even the most experienced driver on his or her toes. 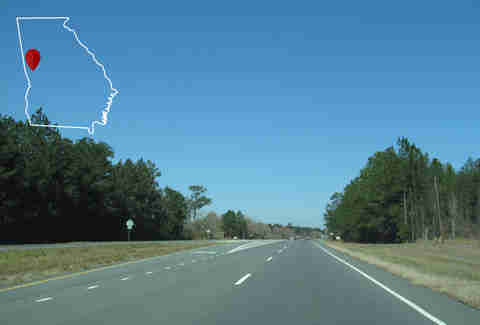 Georgia cannot lay complete claim here, as Route 1 runs through many states. However, the Peach State portion begins in deep southern Georgia and travels north to South Carolina. 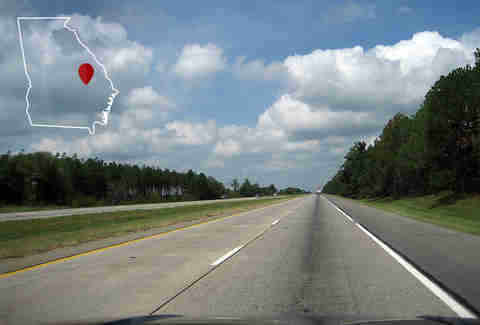 Many drivers use the route as an alternative to the always-busy Interstate 20. The divided highway runs primarily through rural towns where drivers will enjoy its wide-open paths, large hills, and endless parade of sweeping turns. The rolling curves of 112 run through several smaller counties in southwest, central and northeast Georgia. Checking in at 195 miles from end-to-end, it provides plenty of scenic views of cities like Dublin and the older section of Milledgeville. The historic state highway also offers long straight stretches for acceleration and a few twists and curves to test your car’s versatility. Normally a 3.5-to-4-hour drive, you can extend your ride with a pick-me-up at one of the many south Georgia mom and pop restaurants and coffee shops along the route. The Russell-Brasstown is routinely ranked as one of the best driving roads not only in the state of Georgia, but the United States. Although the name promises a ton of scenic views that the byway delivers, this highway made its reputation with its nearly 40 switchbacks, making it ideal for the most daring of drivers. The road allows you to experience several different paths, ranging from valleys to forest land to the southern Appalachian Mountains. 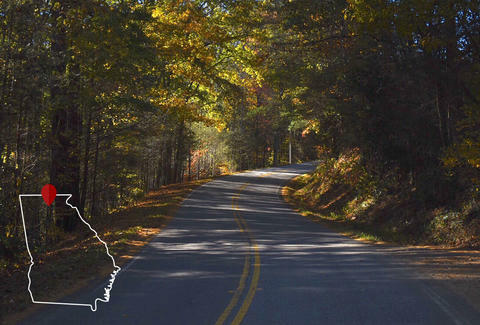 This road runs through multiple counties in central and north-central GA, but the real fun on 42 is in Peach County at the beginning of the route -- specifically in the city of Byron, GA. It is there that drivers will find sweeping turns, elevations and a couple challenging 90-degree turns. Not to mention, when in season, the pecan trees provide incredible scenery. Popular for its scenic beauty, 197 also has historic significance. During prohibition, bootleggers used it to transport moonshine. Nestled in the mountains, the road is perfect for touring because of its well-paved and minimal traffic flow. There are some twists, but 197 has far more sweeping curves, making it a steady but attention-demanding drive. Three nearby lakes (Lake Burton, Lake Rabun, and Lake Seed) and plenty of small shops and hotels also make it an excellent weekend getaway. Some drivers have even claimed to see a bear or two along the way. The parkway is the foremost of many phenomenal routes nestled in the mountains of northern Georgia. Touching the southern part of the Appalachian Mountains, AFP twists through the North Georgia Mountains via GA-515 and GA-52. 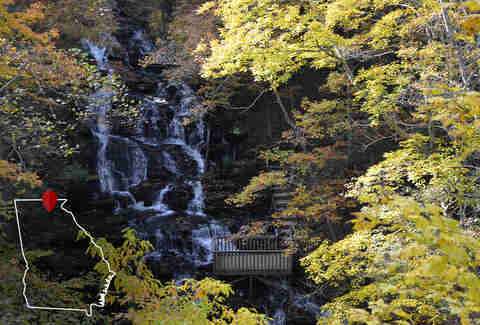 Drivers who take this route will experience sights like Brasstown Bald, Amicalola Falls, the Blue Ridge Mountains, and the Chattahoochee National Forest. With nearly 60 miles of winding roads, the AFP calls for a vehicle with aggressive handling and a driver not afraid to accelerate into those curves. This area is especially picturesque during the early weeks of spring. A few miles outside of metro Atlanta, where 575 ends and GA-515 (Appalachian Development Highway) begins, rests Georgia Mountain Parkway. The 65-mile-long road -- which travels through Route 76 as well -- features many hills and long straight paths before it intersects with the state’s Blue Ridge Mountains. It's there that the winding roads go on for several miles through many of the beautiful small mountain towns that Georgia has to offer. Given the variety in straightaways and curves on GMP, it is an optimal route for motorists who want to experience multiple types of driving in one setting. History is here, and it’s named after the late, longtime highway commissioner who created Interstate 16 in 1972. Gillis created the parkway for the purpose of moving goods between I-75 and the Port of Savannah. There are plans to eventually make the nearly 170-mile stretch of interstate into a gateway of sorts into Georgia’s first city. In the meantime, I-16 serves as a route that connects Macon, GA to historic Savannah. This smooth drive is definitely one where drivers can accelerate with little worry of stop-and-go traffic during off-peak hours.